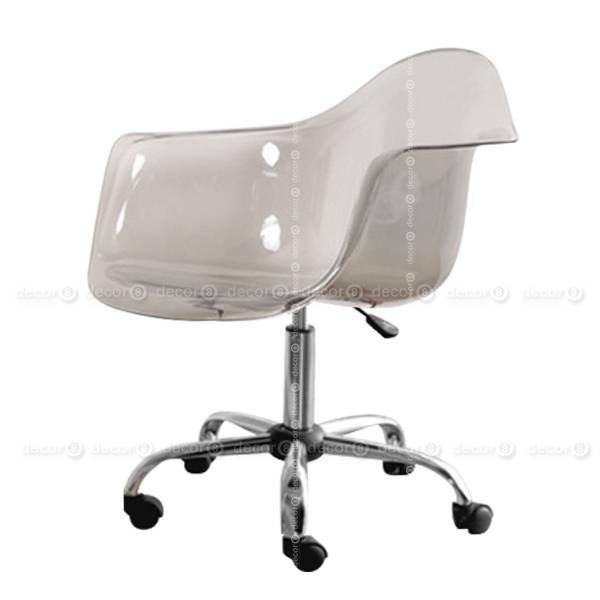 Decor8 DAW Style Transparent Office Chair features a moulded polycarbonate plastic seat and swivel base with wheels. Height adjustable. 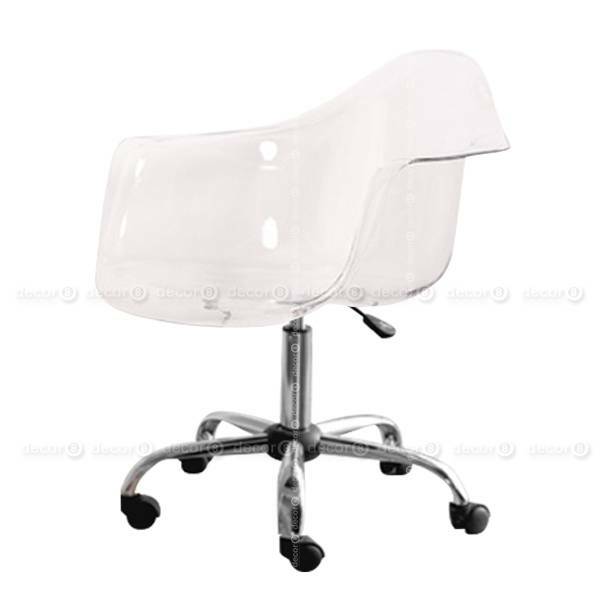 Seat available in many colors, including clear or light grey. Perfect for modern office interiors and office cubicles. Recommended for commercial, retail and home office use.